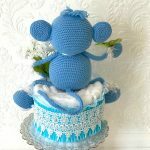 Birthday Boy Gift - 3 year old with a crochet monkey toy. 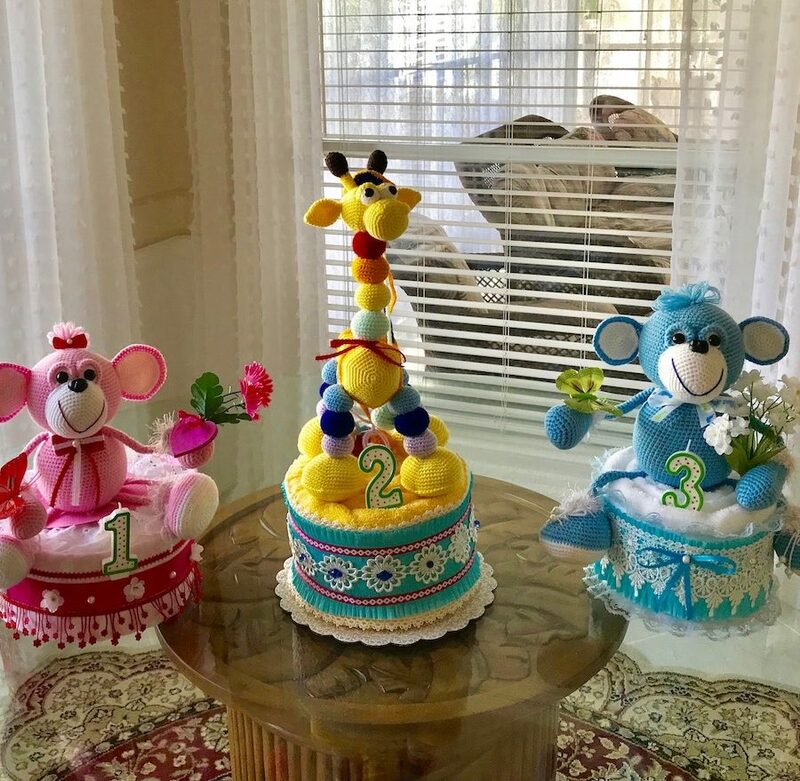 Thrill a baby birthday boy and delight his parents with these terrific gift! 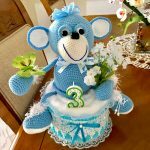 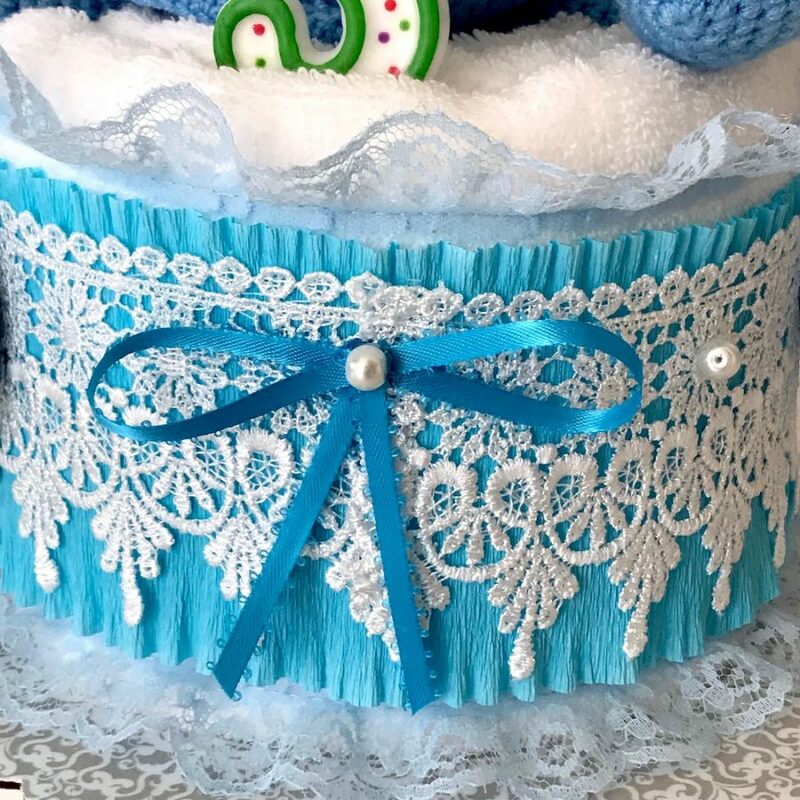 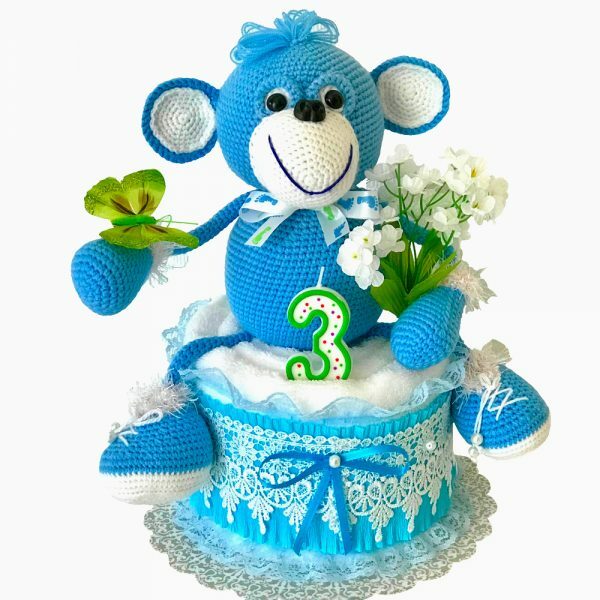 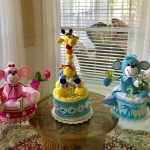 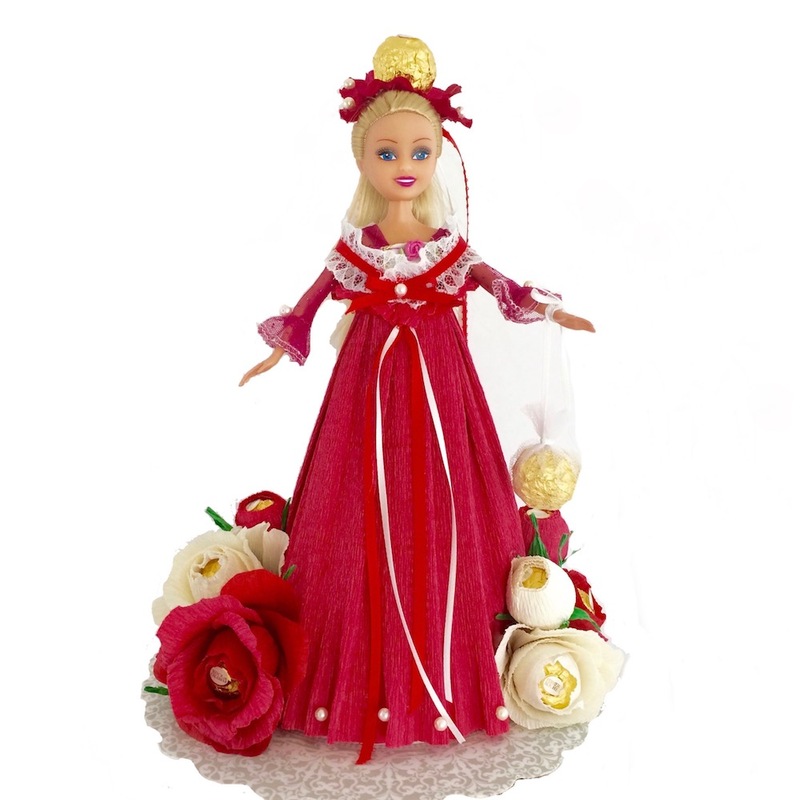 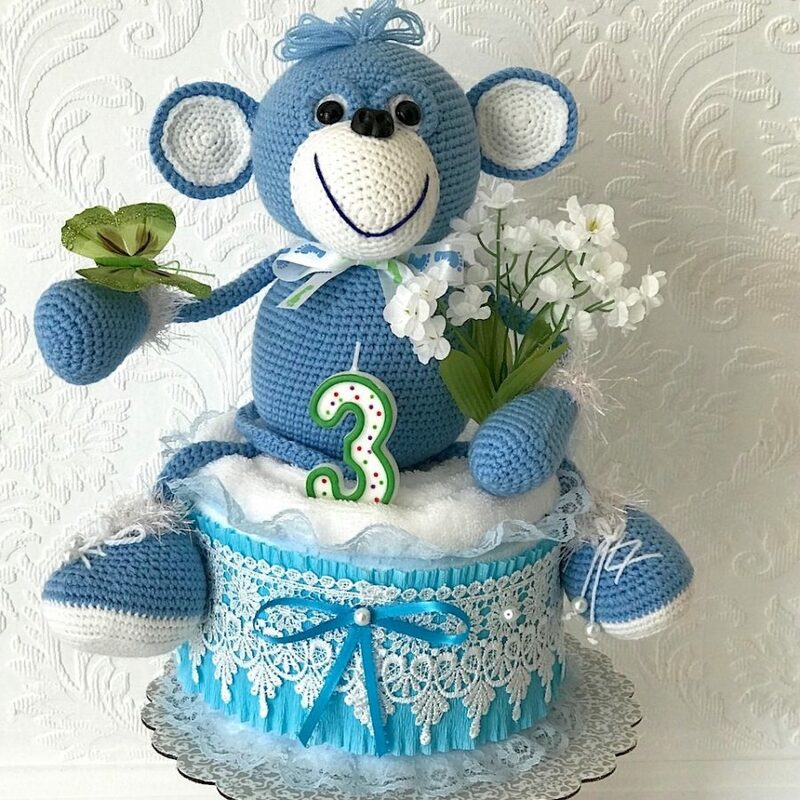 It’s handmade with beautiful elegant decorations and includes an adorable handmade (crochet) toy, made that is one of a kind. 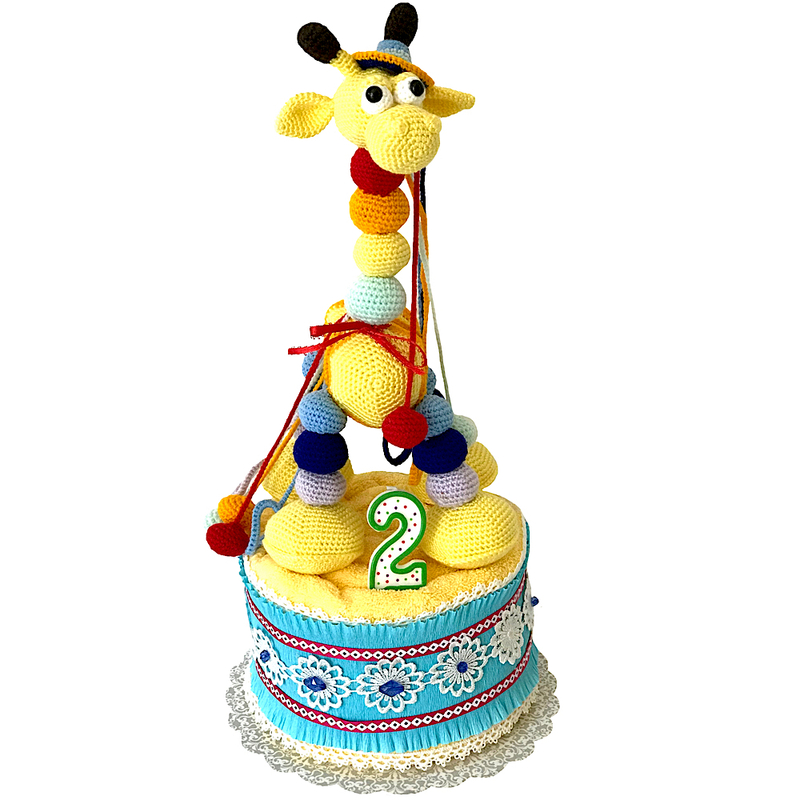 Toys are an essential part of the development of a small child, and this gift can be a great idea for a 1-years-old . 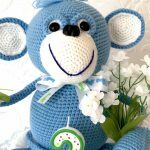 It’s practical with stylish design, made in a very clean environment and with love. 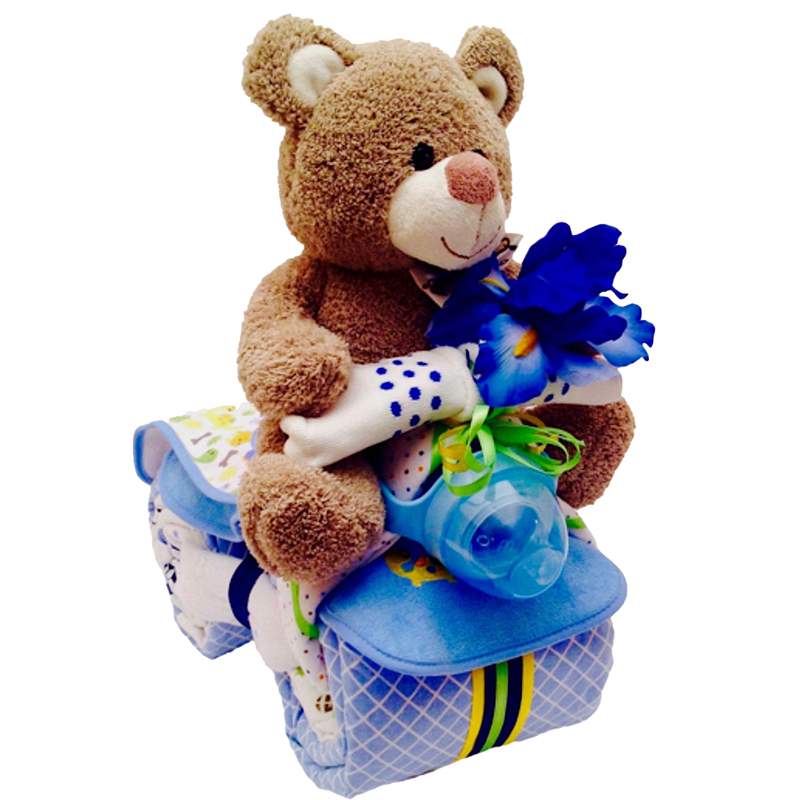 We use only hight quality product of famous brands to made our gifts. Other handmade toys are available for a topper.